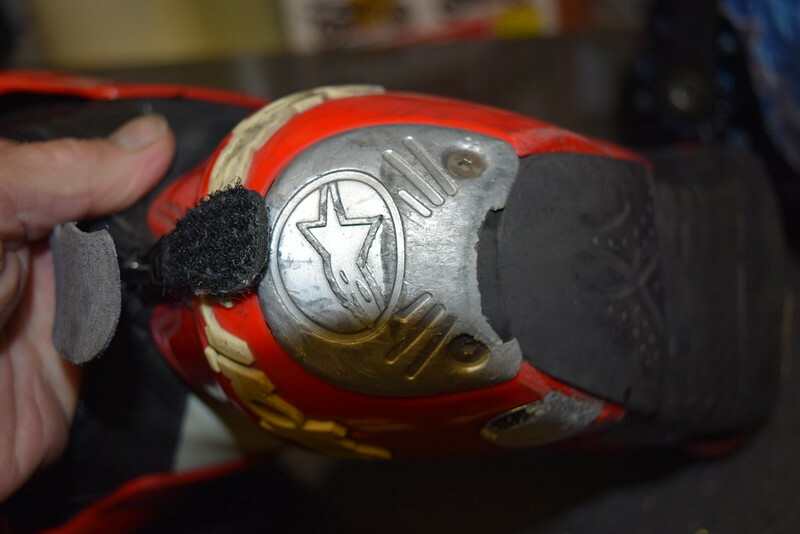 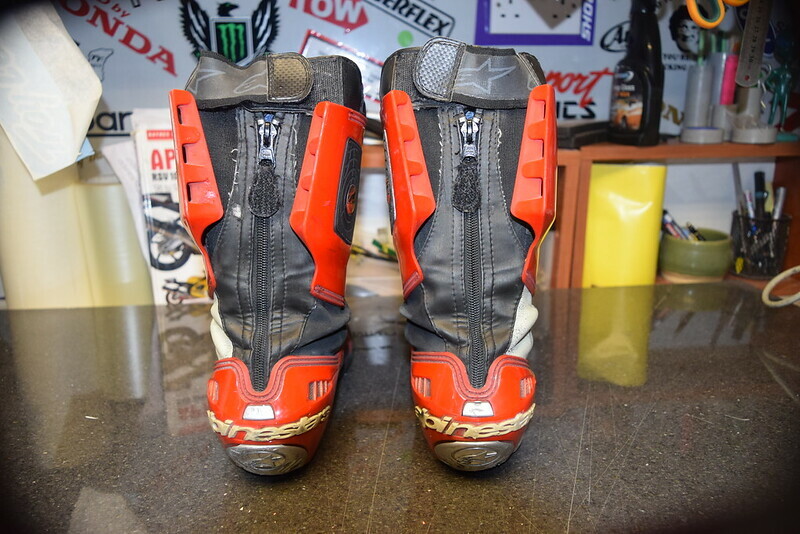 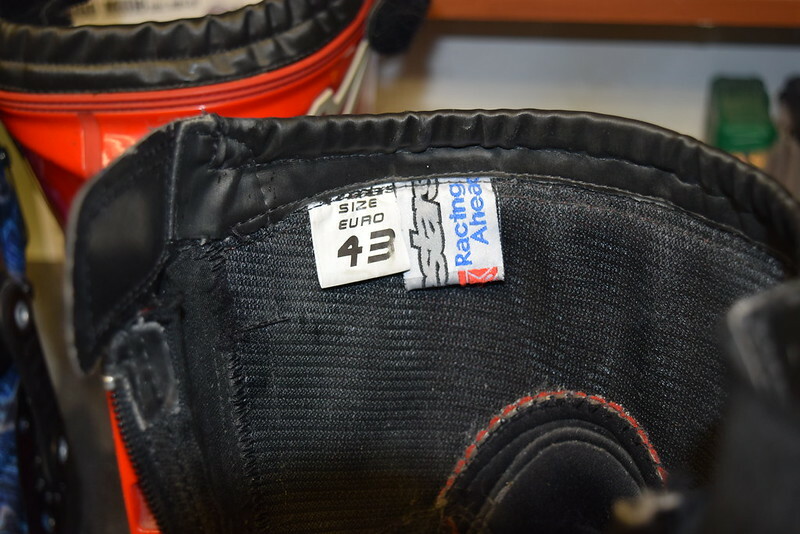 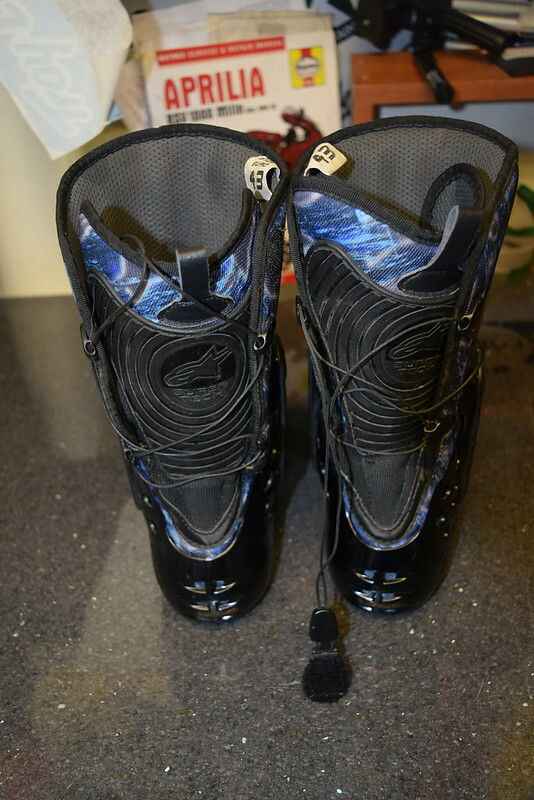 Thought I’d offer these before they go on Ebay, Alpinestars Supertech race boots (predecessor to the current Supertech R boot) size 43 /UK 9, fantastic inovative boot featuring tough Lorica (latin for bodyarmour!) 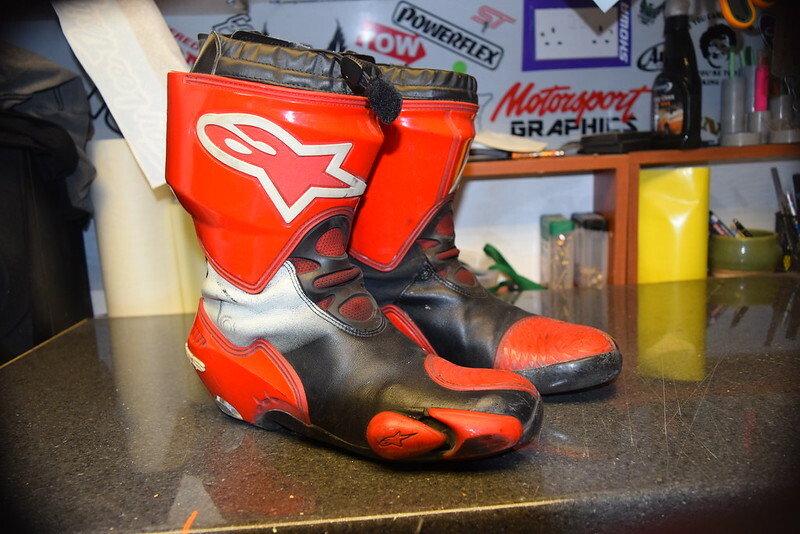 outer skin and seperate removable inner boot. 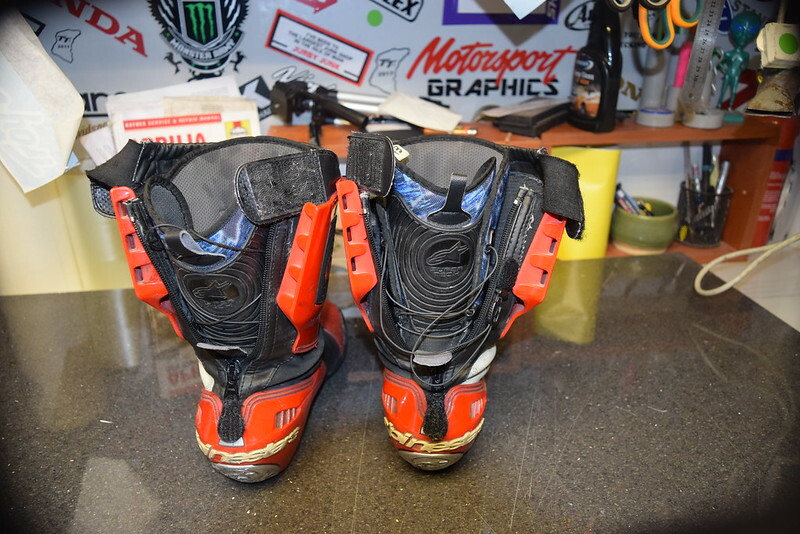 Alpinestars really know their stuff these boots are packed with all the usual features, tough plastic shin protection, removable toe sliders, removable alloy heel plates, reinforced gear change section etc, but the thing that sets these boots apart is the outer/inner boot construction, the inner boot features a bio-mechanical ankle brace that works with the outer structure of the boot to form a highly protective system while allowing full and free movement of the foot, ankle, and leg, the drawstring system that clamps the inner boot to your leg for a prefect fit and stops your ankle twisting in the event of a big off. 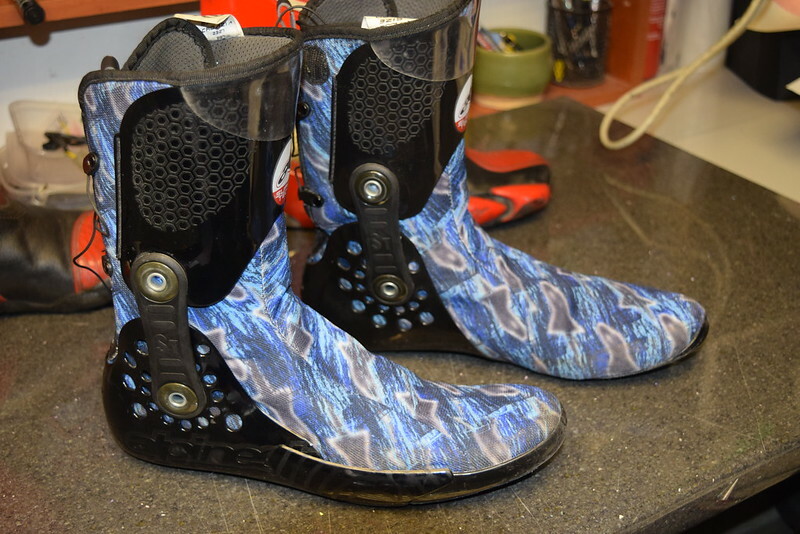 If there’s a downside to these boots it’s that they are a bit of a faff to put on, you leave the inner boot inside, open the outer boot rear mounted zip, release the drawstring then slide your foot into the inner boot, do up and secure the drawstring zip up and fasten the Velcro and your ready to go, like I said it’s a bit of a faff but you do get used to taking them on and off and it is worth it for the sense of security they provide. 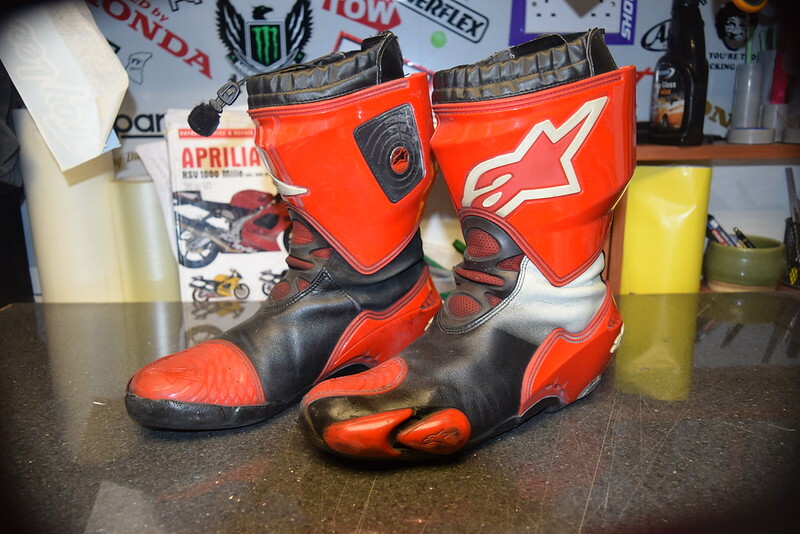 As can be seen from the pics these boots are well used boots with plenty of scuffs and scrapes but no holes, all the zip /drawstrings all work as intended, and the inner boots are nearly new, I managed to damage one of the drawstrings on the original inners so contacted Alpinestars and they replaced both inner boots FOC, (great customer service). 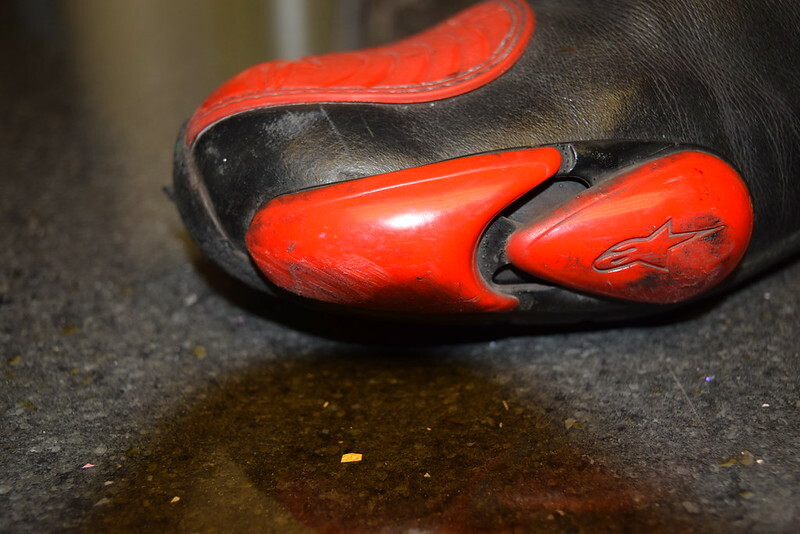 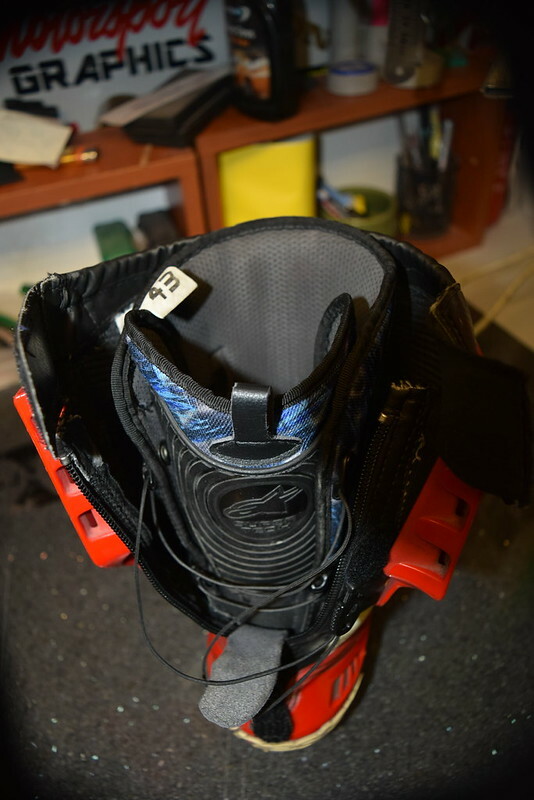 these were very expensive when new and while they are well used they are still probably some of the most protective boots available with plenty of life left in them. 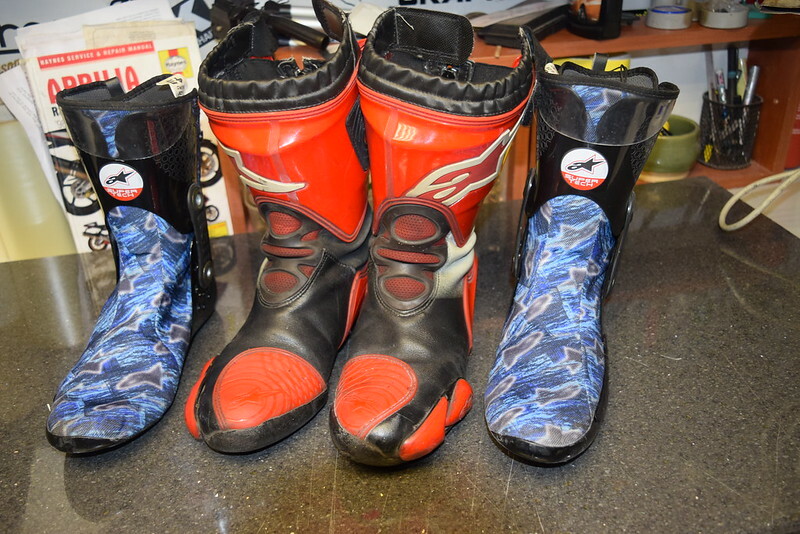 Anyone in the West Yorkshire area is welcome to come and try them for size.